"The flowers are great! My husband hit a home run with this one." What's Included in Our Flower Delivery Subscription? Treat yourself or someone special to an exquisitely fresh and unique bouquet month after month by joining Clubs of America's Flower of the Month Club. For more than 24 years we have been delivering professionally made, high quality exotic flowers to our Flower of the Month Club members from the world’s best gardens and growers. Your floral arrangements will include some of the finest and rarest varieties of flowers to be found. 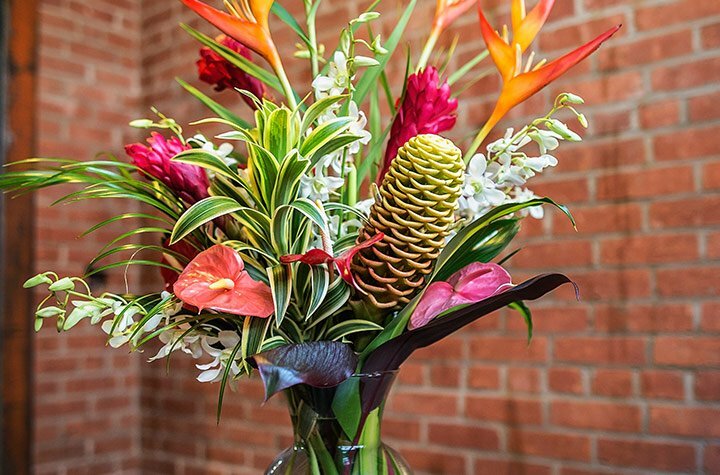 Our past flower subscription boxes have included flowers such as Peruvian Lillies, Dendrobium Orchids, Red Anthuriums, Proteas, Lisianthus, Birds of Paradise, and more! Our Flower of the Month Club has delivered millions of flower club bouquets to happy customers over the many years we have been in business. You also don’t have to worry if the quality of the flowers isn’t what you expected; all of our packages are backed with a 100% satisfaction guarantee. We only ship some of the best quality, fresh flowers here! 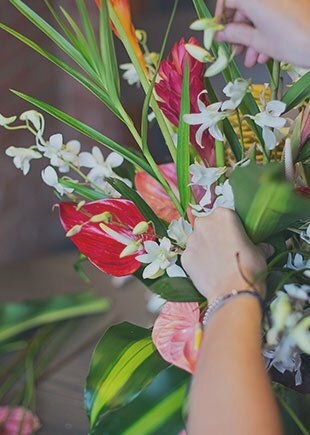 Each month we feature fragrant and exotic hand-cut flowers from a few growers that are focused on creating the highest quality of flower arrangements. Many of these growers are also small, award-winning gardens so you know you’re in an exclusive club when you receive one of our flower club subscription boxes! Our Flower of the Month Club members receive monthly flower bouquet shipments delivered straight to their door or send our Flower of the Month Club as a flower gift to your gift recipient to show that you care! 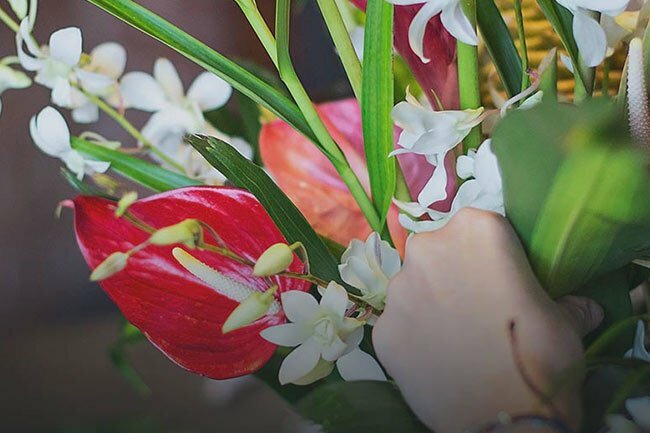 Each month, the recipient will receive a bouquet of monthly flowers that include rare flowers from across the globe with a few different types of flowers in each shipment. Our Flower Club also doesn’t skimp on size so we’re sending you a full-sized flower bouquet that will treat you or someone special to great looking flower arrangements! Not only are you receiving the best flowers but you will also receive a FREE Flower Expeditions monthly newsletter subscription where we’ll give you great information on the exclusive flowers you received this month for your Monthly Flower Subscription. This is all offered to you with FREE shipping for our monthly flower delivery subscribers as well as any other monthly club we offer. We offer our Flower of the Month Club members the chance to customize the length of their rare, exotic monthly flower shipments as well. We offer two-month subscriptions, while also offering three, four, six, and twelve month flower subscriptions. We offer you the ability to get flower shipments monthly, every other month, or every three months. Adding to our user-friendly customization, we allow payments to be made monthly or in full if you wish. Don’t forget to check out our Flower Club Blog for updated content related to the best flower club in America! Can I choose the flowers I receive? No. All the flowers are pre-selected for you. Each flower bouquet is freshly cut direct from the grower and shipped. In a attractive box with the flowers fully secured for safe passage during transit. How are the flowers shipped? We deliver the flowers via FedEx. We prefer a delivery address where someone is home or a business delivery address. How should I care for the flowers? Each shipment has different instructions on how to care for them. The instructions are included in the Flower Expeditions newsletter. What are some examples of the flowers I may receive? Each month you receive a theme bouquet direct from the finest flower growers in the world. You will also receive our club newsletter “Flower Expeditions.” You will receive your shipment by the 3rd or 4th week of each month. Why should I choose your Flower of the Month Club? When you decide to place a Flower Club order with us at Clubs of America, you are dealing with a company that has been doing this service since 1994 with over 3 million shipments. We are the most experienced company in the club business and we are committed to the highest quality products and service for our customers. You can check out Better Business Bureau reports by searching Clubs of America and you will see that we have earned an incredible reputation in the business. Your 100% satisfaction is everything to us and will stand behind everything we ship to you or your gift recipients. Only $45.95 Per Month with Free Shipping! Chosen with care from the world's top growers.